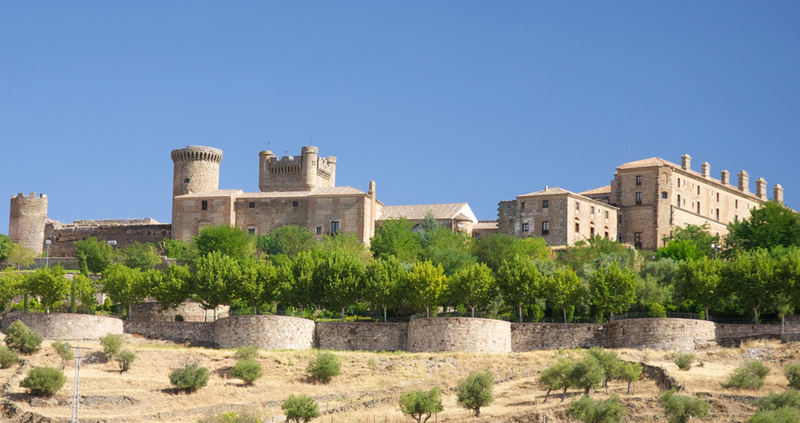 This castle is in fact formed by two: the old castle, a partially preserved Arab fortress; and the 15thcentury Palace of the Álvarez de Toledo family, Counts of Oropesa, now converted into a NationalParador. Its stone staircase is one of a kind in Spain. 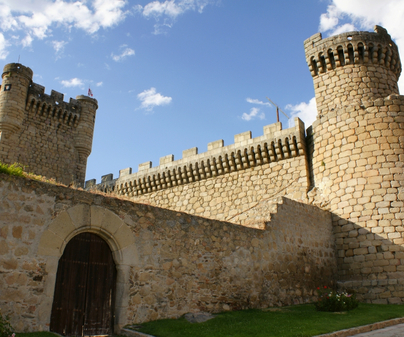 The old castle was erected on top of a Roman fortress by the Arabs between the 12thand the 13thcenturies. It had a rectangular floor plan with four circular towers at the corners, of which now only two are preserved. The new castle was built in the 15thcentury. In the interior there is a big square, former parade ground, and stage for cultural activities. From there you can climb, via a tiered ramp, to the parapet walk and towers and enjoy the impressive staircase. Its five-story tower keep is crowned with defensive watchtowers, arrow-slits and battlements for different kinds of weapons. We can still make out the emblem of the Álvarez de Toledo family, denizens of the palace. 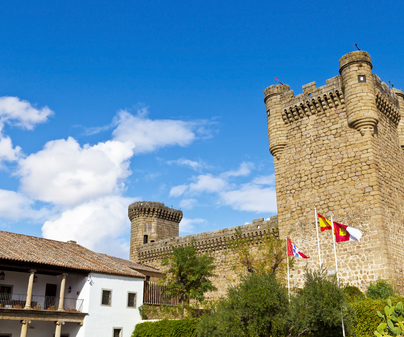 The castle is property of the city council government and it houses a National Parador. From Tuesday to Saturday, from 10:00 to 14:00 h. and from 16:00 to 18:00 h.